In the summer, we grill out a lot, as in almost every night. We typically grill some form of lean protein or fish and then whatever vegetable is in season. 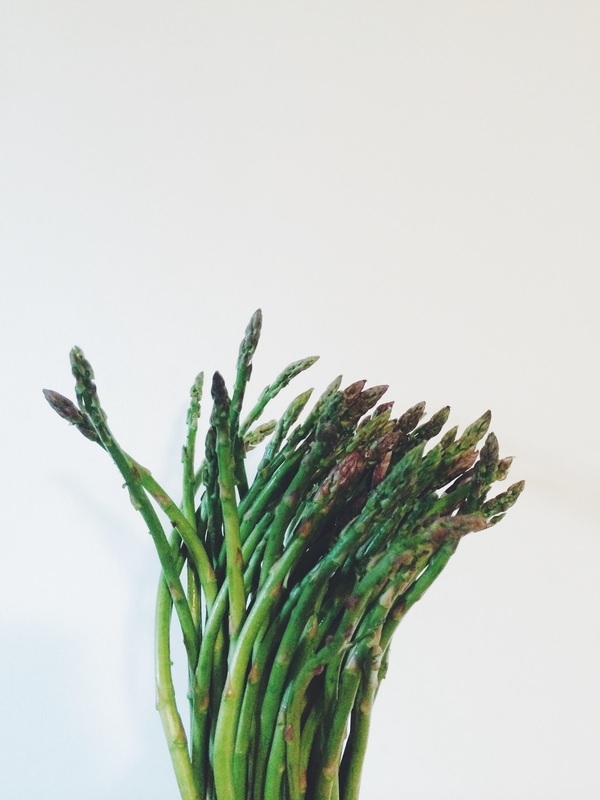 This summer we've been loving grilled asparagus, more than ever before! We've always enjoyed it, but we've taken our love of it to a whole new level over the past few months. 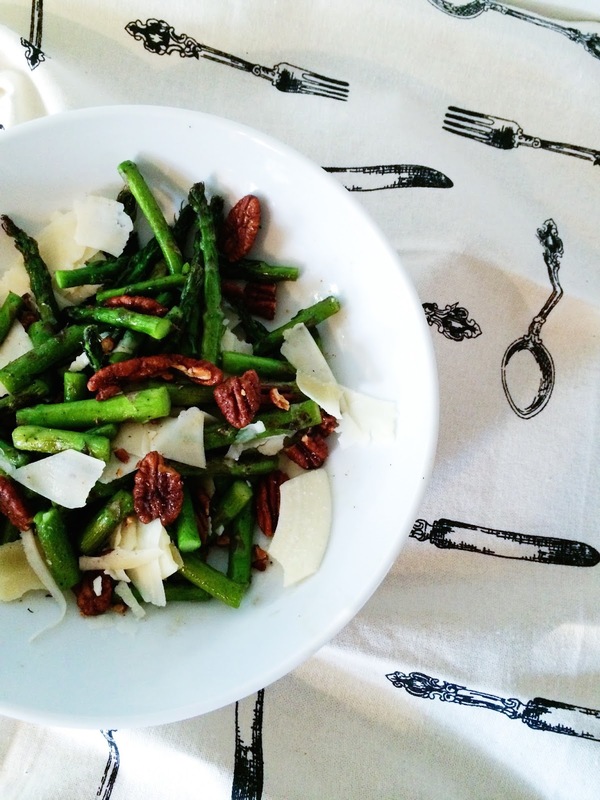 Today's recipe showcases grilled asparagus in a salad that can be served warm, cold, or even at room temperature. It's a no fuss, 4-ingredient salad that is not only visually appealing but unbelievably delicious. our favorite way to serve this salad is alongside salmon & brown rice while it's warm, but it is equally delicious cold the next day for lunch or at room temperature for a picnic. 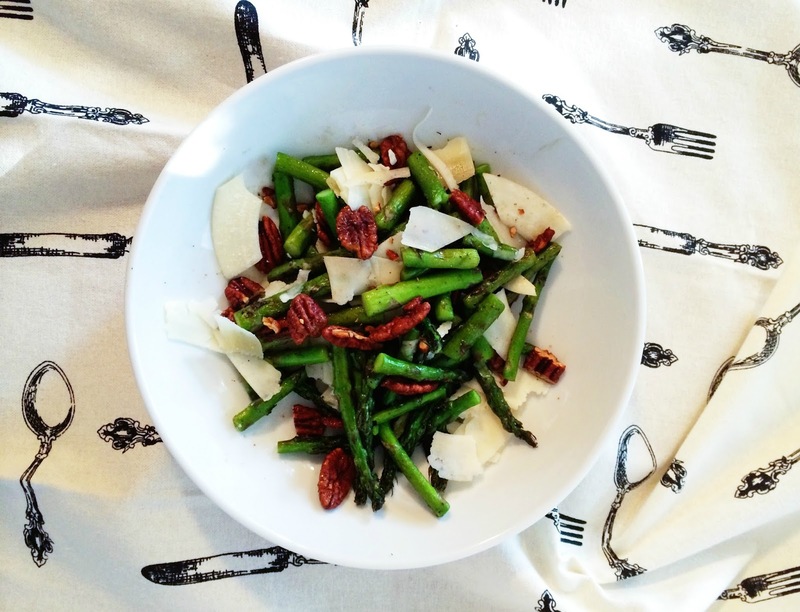 the cheese offers a nutty and rich sensation when paired with the tender asparagus, and the pecans offer a crunchy kick of flavor with just the right mix of heat and sweet. 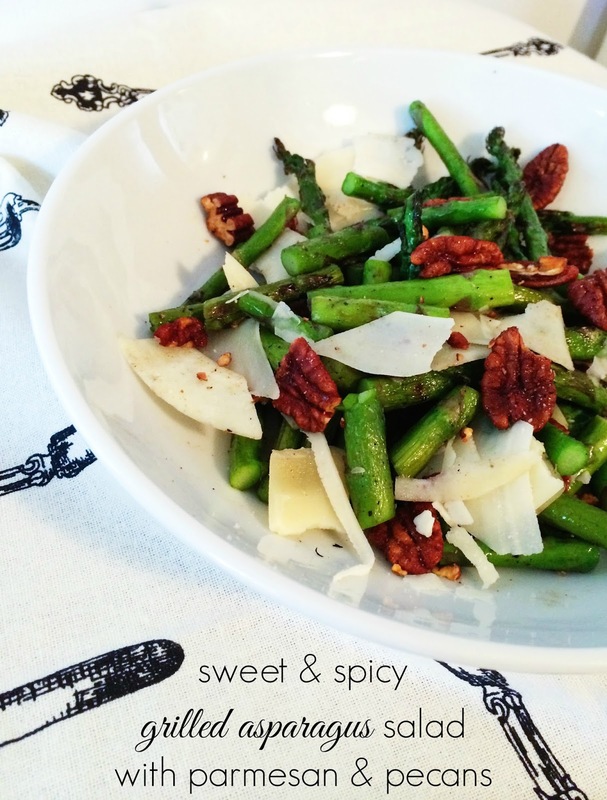 it is our go-to side dish for entertaining & so easy to throw together! This looks delicious! I'm going to try this next week!